Fourteen universities from five European countries started a collaboration to set up University Journals as an alternative to the current journal system that requires authors to transfer their copyright or charges article processing charges. Scholarly works can be submitted to the University Journals platform to become a formal publication disseminated through the existing e-journals infrastructure (e.g. with ISSN, DOI and indexing). Submission can be direct or via an existing repository or pre-print servers at participating universities. By using existing infrastructure University Journals require only modest resources, while the journal format will help ensure the accreditation for-, and commitment and acceptance by academic authors. 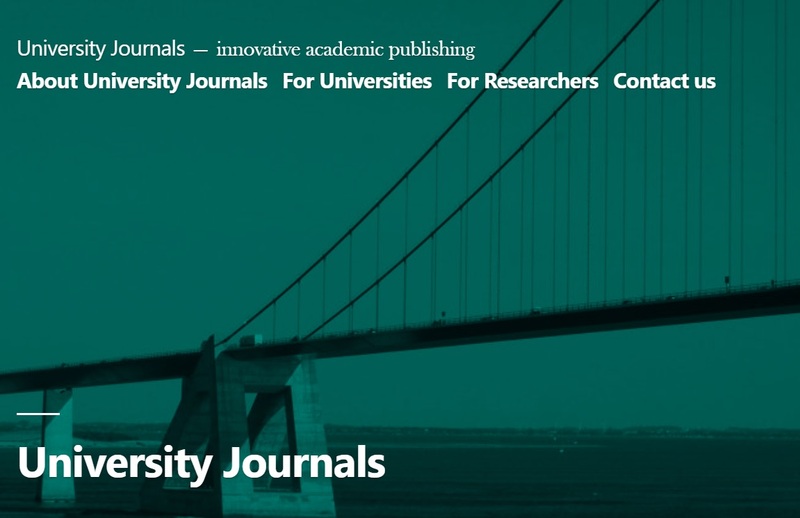 University Journals aims to provide high quality, reviewed, open access infrastructure for scholarly articles and other products of research. University Journals will focus on convenience for researchers, efficient and cost-effective operation and fast turnaround times. University Journals use the existing repositories, pre-print servers and established international journal infrastructure to publish research, data, software, negative results, small sample studies and other forms of academic output. University Journals are flexible: publications with University Journals can be considered as the final version, but may also be used as a more formal form of pre-print archiving: we support version control and allow researchers to submit an updated version. University Journals are owned by the participating universities and publish exclusively Open Access, without transfer of copyrights. UJ will feature a novel and innovative peer-review strategy that will streamline submissions, puts researchers in control and aims to deliver a more predictable outcome. UJ allows universities to determine which of their papers are suitable for publication, at the same authors can request a more stringent form of vetting. The final published article will show a label to indicate which type of (peer) review was completed. UJ will feature a novel and innovative peer-review strategy that streamlines submissions, puts researchers in control and aims to deliver fast and predictable publication of all kinds of research products. UJ empowers universities to determine which of their papers are suitable for publication by offering a variety of quality assurance and peer review options. The final published article will show a label to indicate to which type of quality control and/or (peer) review the publication has been subjected to. University Journals will also stimulate Open Science practices. All research output (reports, datasets, tests, protocols, methods, software, negative results, small sample studies and other research products) can be published quickly and fully in University Journals. The advantage is that all types of publications will be indexed by established abstracting services, copyright and ownership will remain within the universities. University Journals will provide a valuable way of modern scholarly communication as demanded in the transition to Open Science.